Also known as Indian ring-necked parakeets, these beautiful small parrots grow up to 40 cm long, which includes their tail feathers. Only the males have the red or black ring around the neck that gives them their name. They live in large groups and can be found in flocks of thousands of birds sometimes. They are very noisy and often mix with other birds. 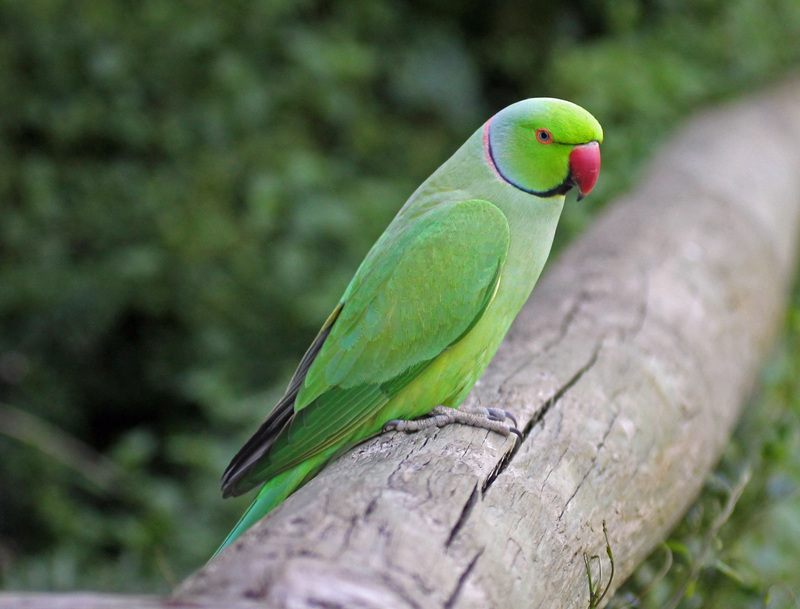 Rose-ringed parakeets are excellent mimics and can learn a lot words, making them a very popular pet. At breeding time, they lay 3-4 eggs in tree cavities, rock crevices and buildings. It takes about 24 days for the eggs to hatch and the chicks grow very quickly. Rose-ringed parakeets have the largest range of any Old World parrot and can be found throughout northern Africa and southern Asia. They have also been introduced to parts of Europe, South Africa, Japan, the United States and the Middle East. Are there any other interesting facts that you would like to share about rose-ringed parakeets?